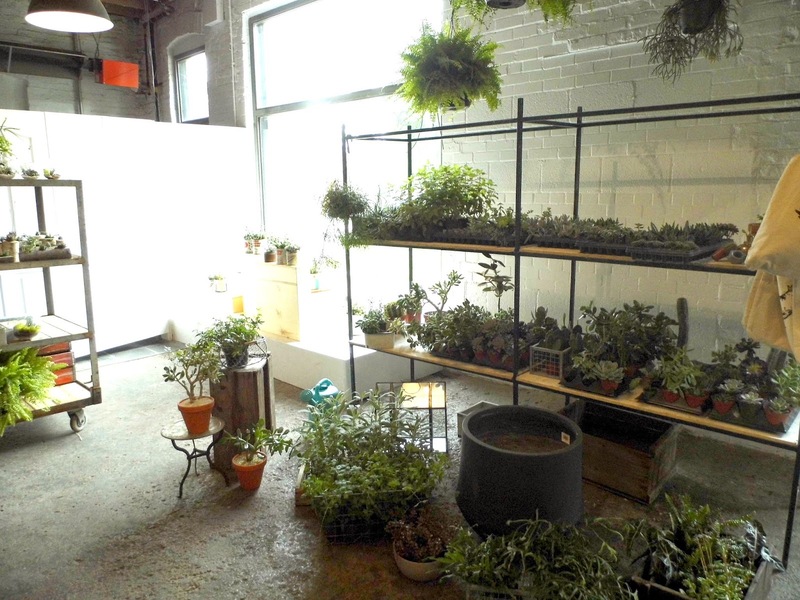 A few months ago, my friend Jess and I attended a terrarium workshop at Parkdale's Crown Flora Studio. 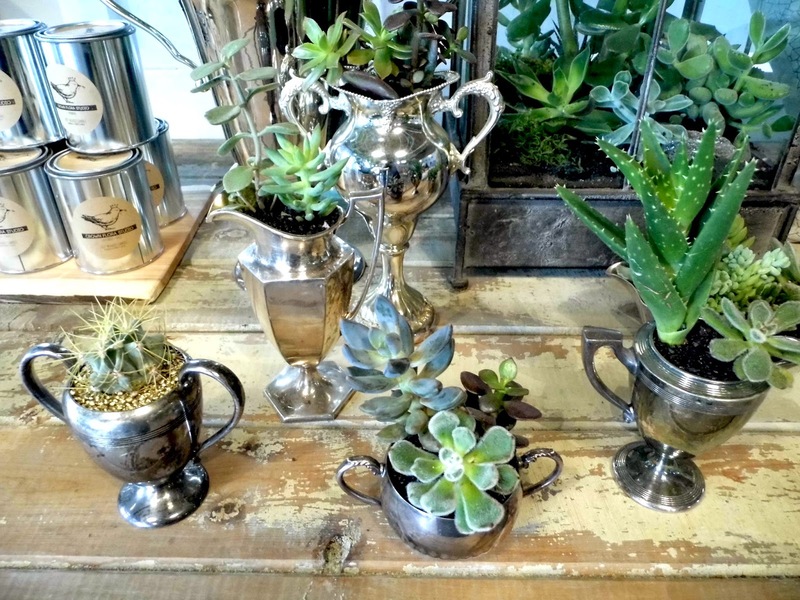 We had such a great time, that we've been monitoring their website for updates on new workshops to sign up for together. 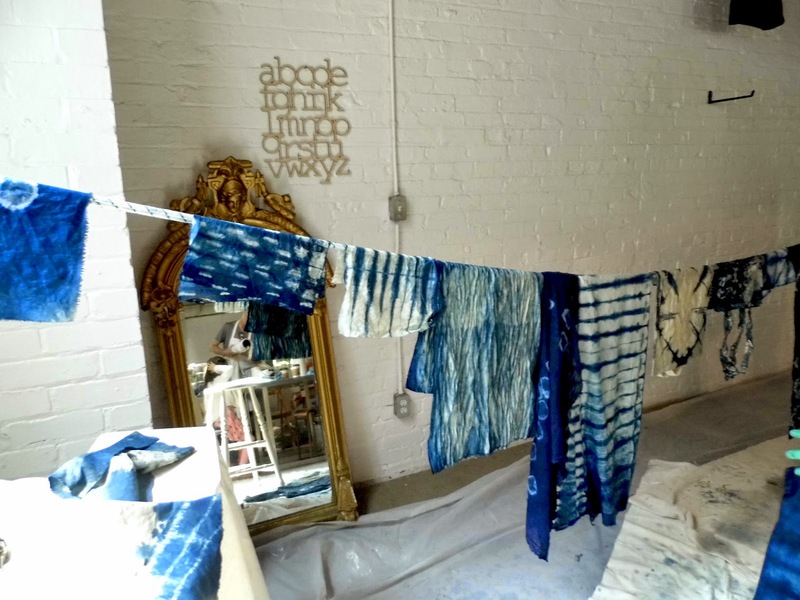 The Shibori workshop (we'll get into what that actually means shortly) was taught by Arounna, the owner of Bookhou. 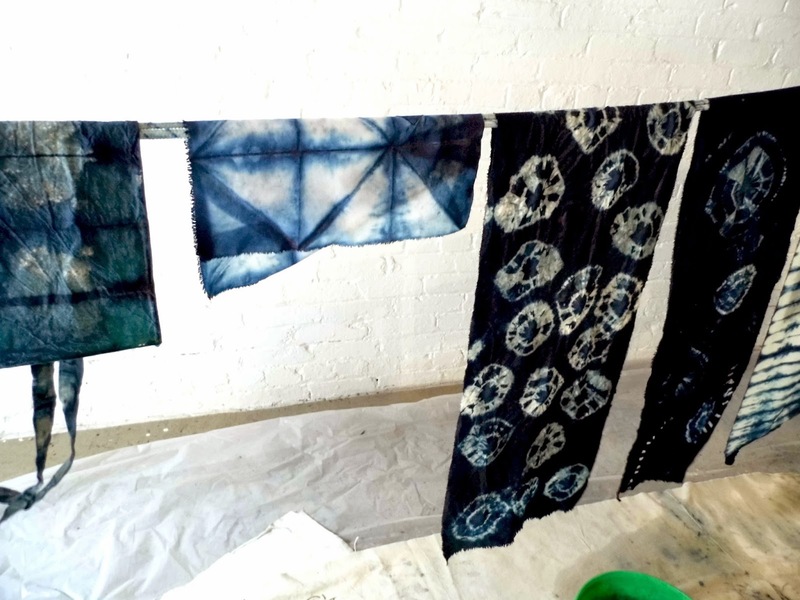 Neither Jess nor I had any idea what shibori was (we called it "grown up tie dye") but we'd had such a great experience at the terrarium workshop that we were excited nonetheless. 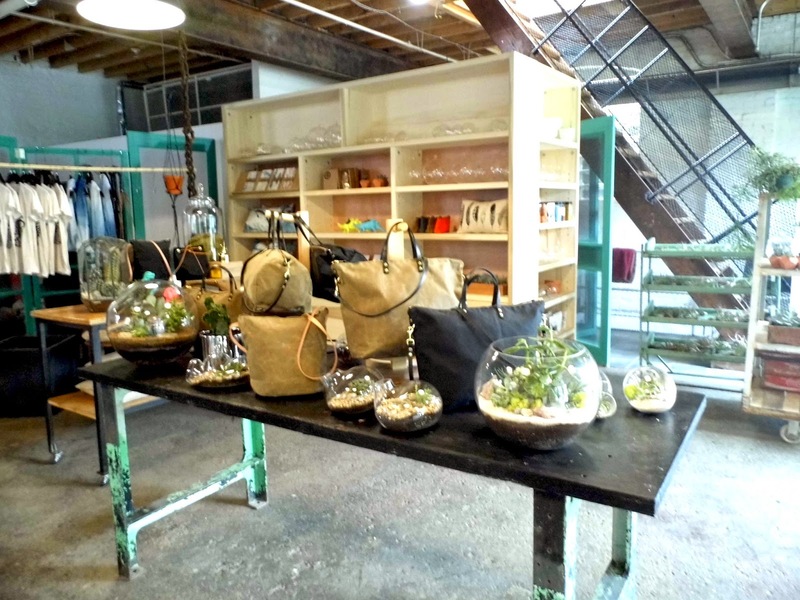 We arrived at Crown Flora's new space (they recently moved into a large loft space) and we took a few minutes to look around. 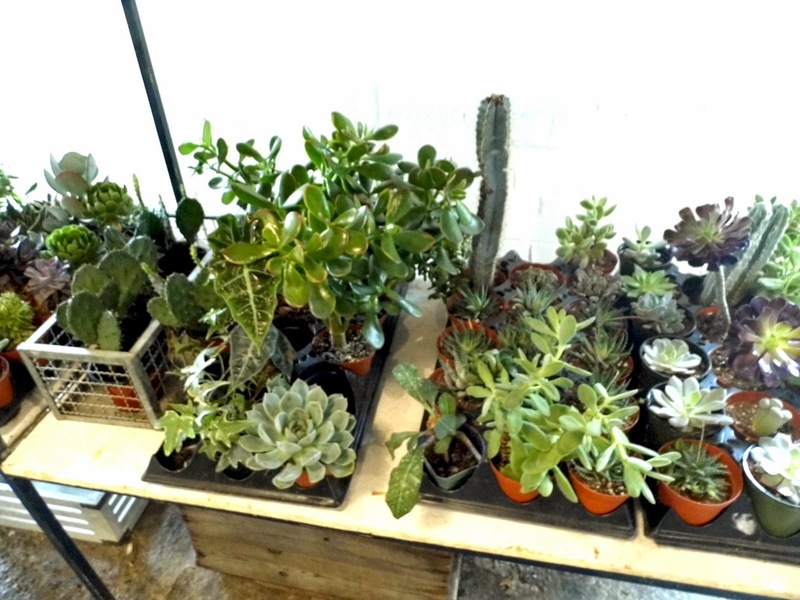 Jess bought some more succulents. 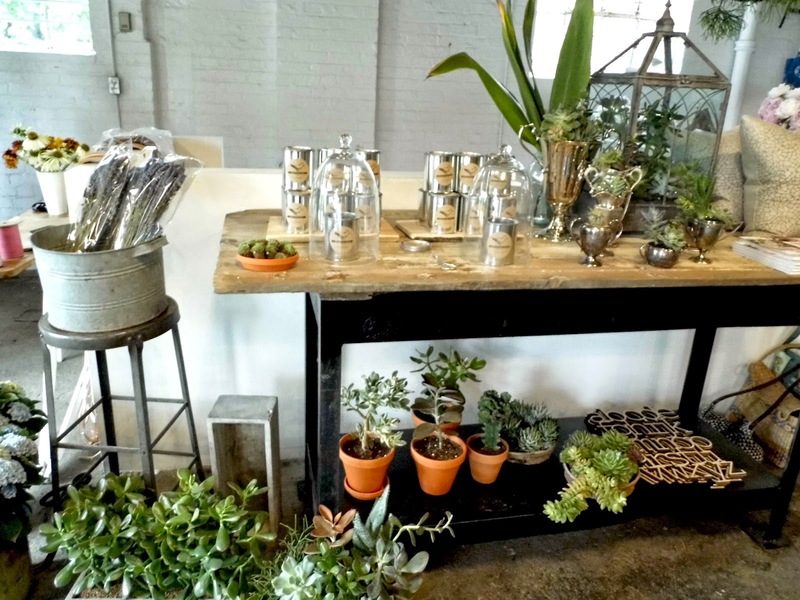 While I enjoyed the pretty accessories and vignettes. 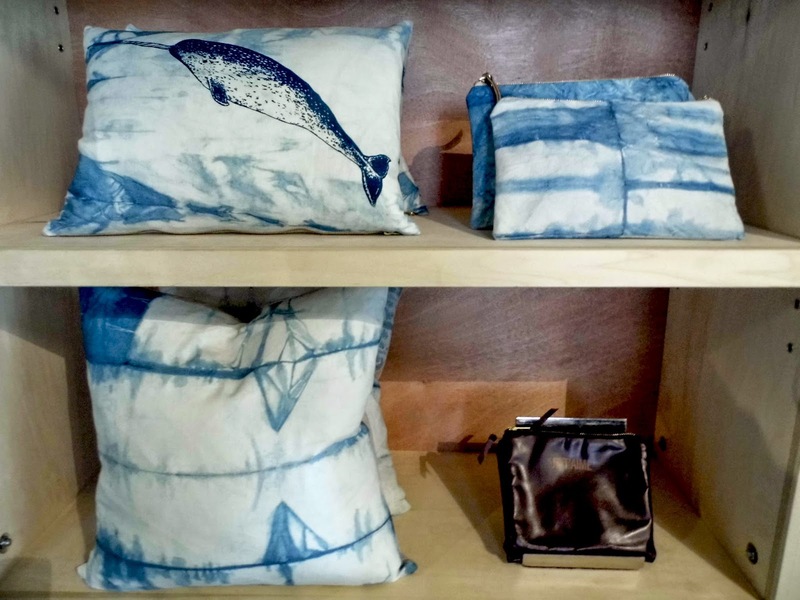 These pillows and clutches are a great example of shibori using indigo dye. 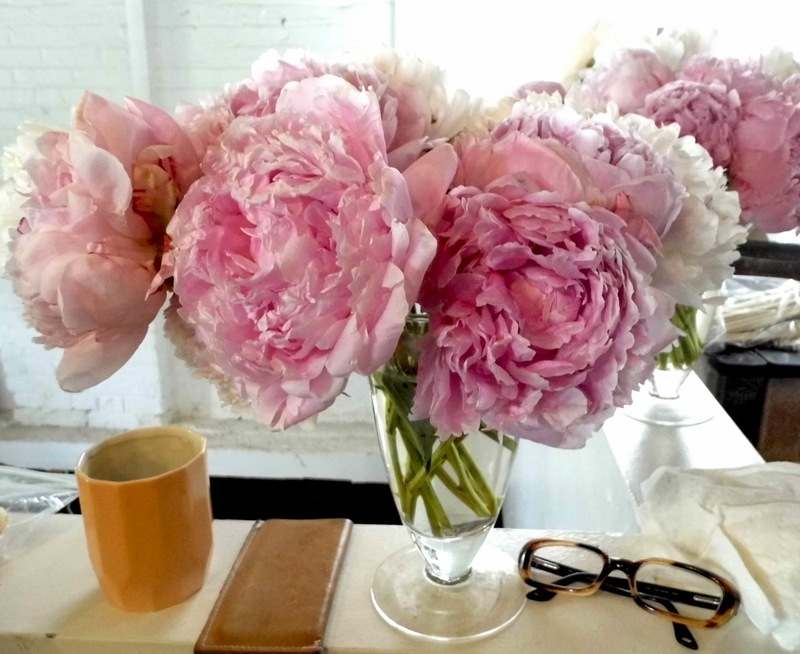 The pretty flowers reminded me that it was time to order my bridal bouquet, which I crossed off my list before the morning was over. 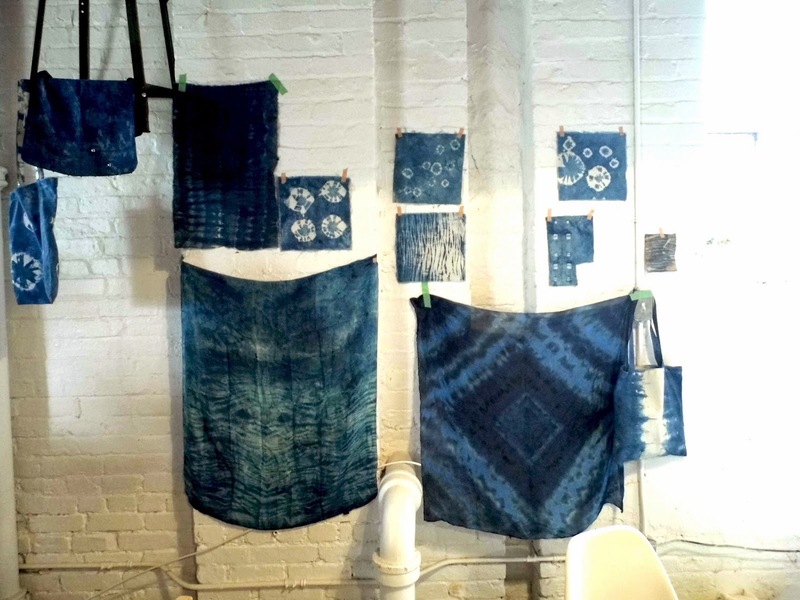 There were examples of indigo dyed fabrics using different shibori techniques.... Which, as it turned out, is actually very much like tie dying only more intricate and often involving stitching. 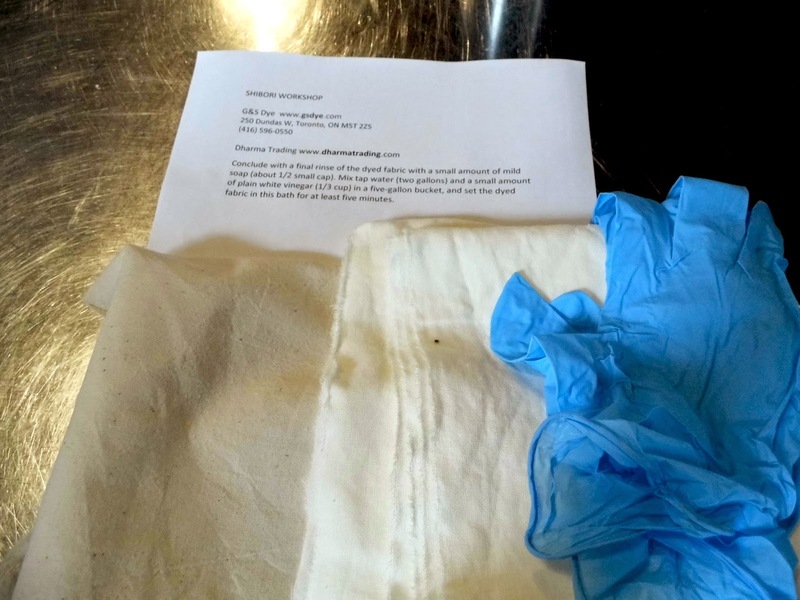 Our workshop kit included gloves, instructions to set the dye at home (in a 5 minute vinegar and water bath) and a cotton tote as well as a rough-edged scarf, which could also be sewn into a pillowcase. 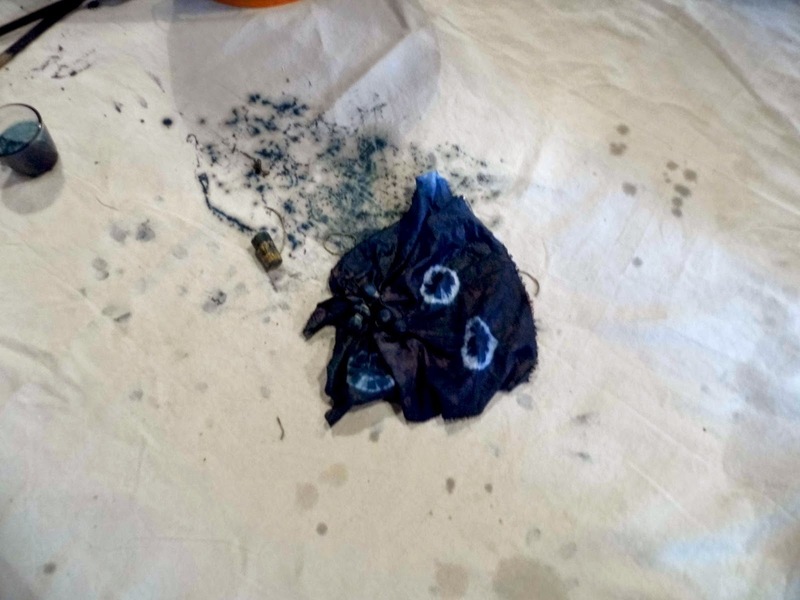 Arounna opened the vats of indigo dye and skimmed a thick sludge off the surface. 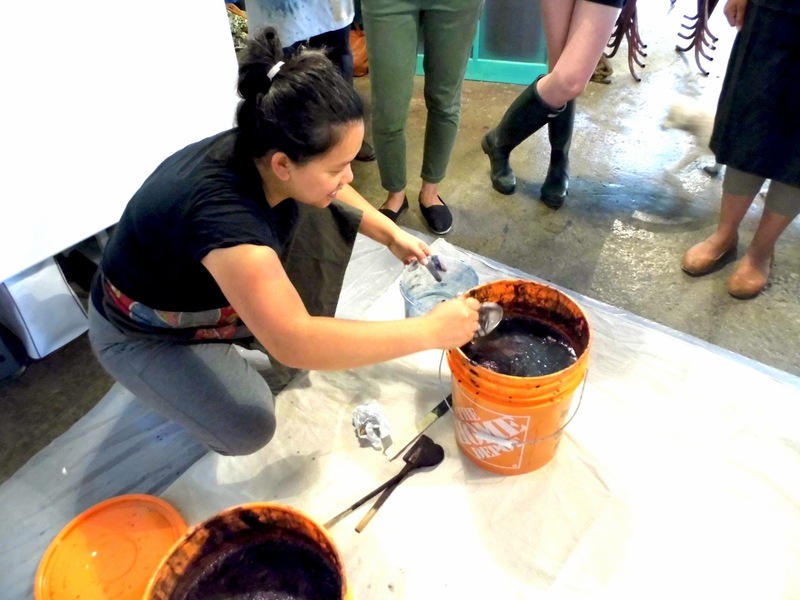 I was surprised to learn that preparing indigo dye involved a fermentation reaction and that indigo dye has a strong ammonia odour, so soon, the entire studio smelled like cat pee. 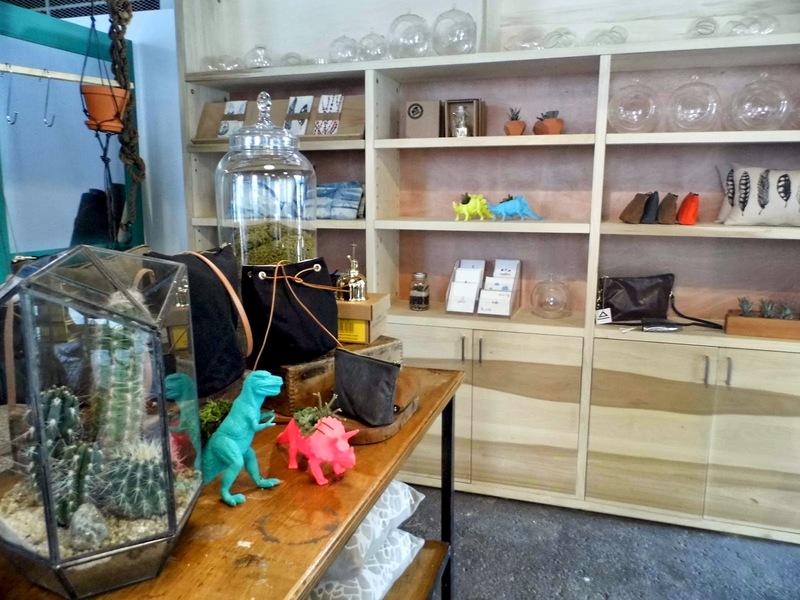 Luckily, it was a large space, so my pregnant nose didn't suffer too badly. 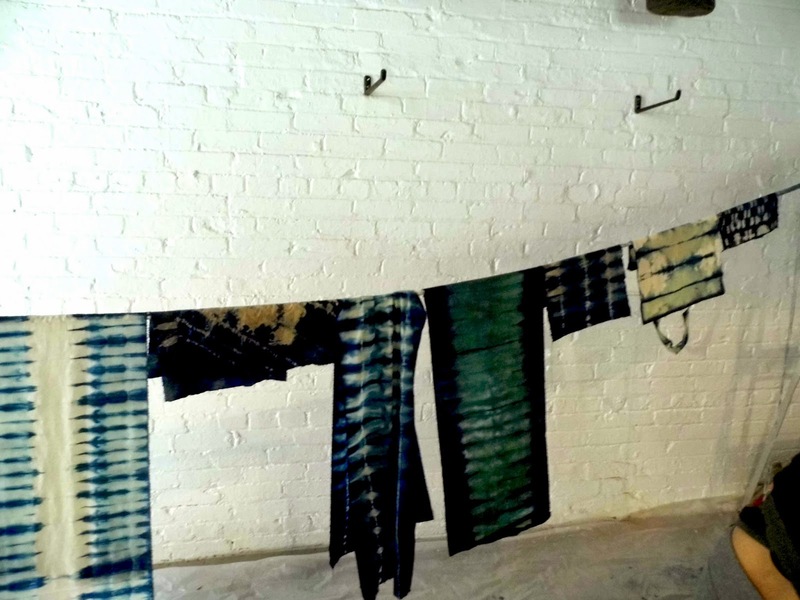 The dye itself (and any fabric freshly dyed) is actually green and only develops the signature blue indigo colour after reacting to the oxygen in air. Arounna demonstrated a few different techniques for us before leaving us to experiment on our own. 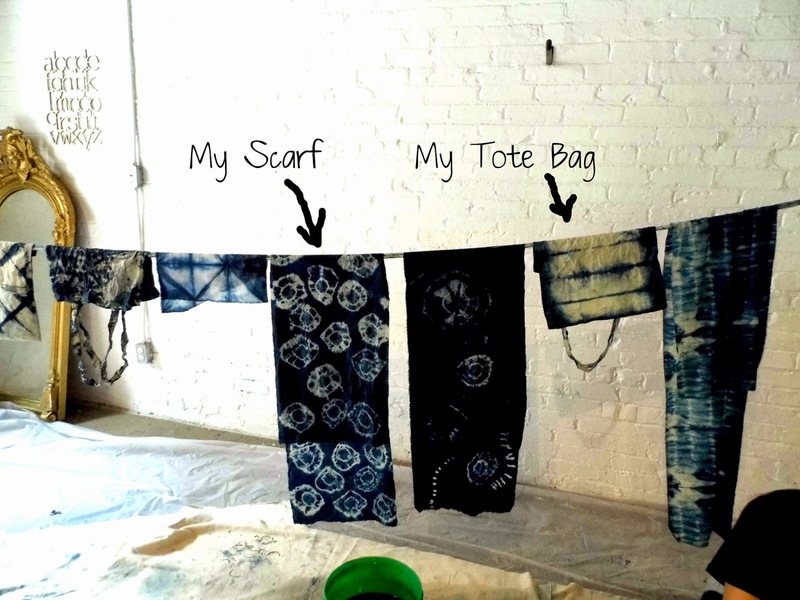 She showed us various resistance methods like tying and clamping and we learned to soak the fabric in water first, so that it would soak up the indigo better. It's so interesting taking workshops with so many creative people, because I'm almost as excited to see what they make as I am to create something myself. 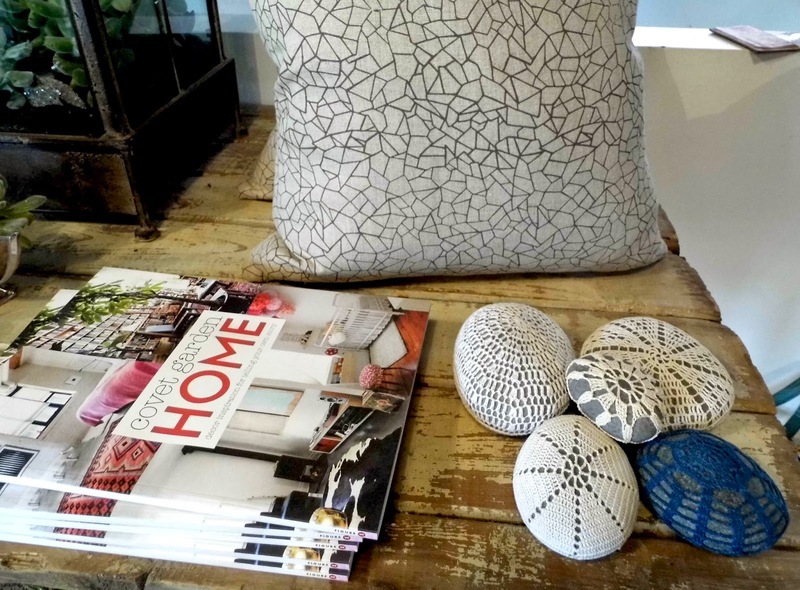 I jumped in right away with my tote and decided to use accordion folds without any elastics or string and to just dip the edges carefully myself. Then, I borrowed a swatch of test fabric and tried tighter accordion folds with some heavy paperclips to create a resist area. 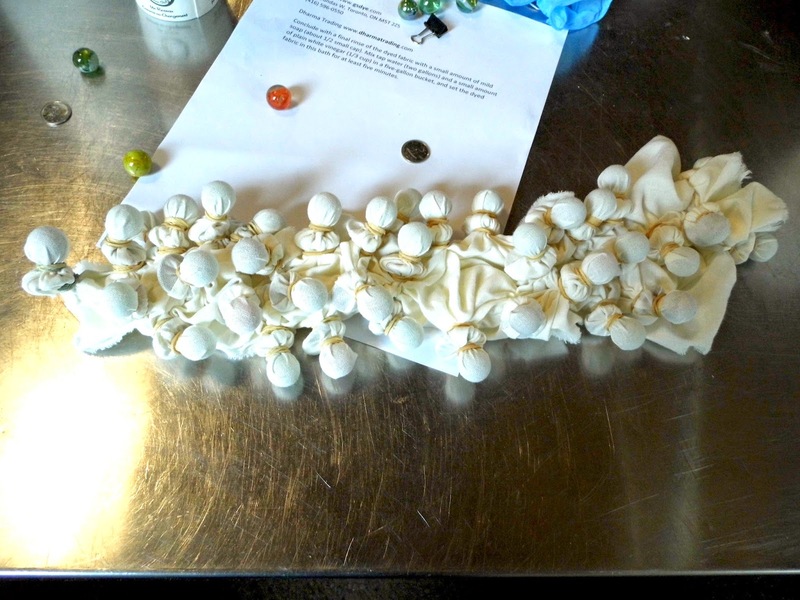 Finally, I decided to spend the majority of my time on my scarf and used elastics, marbles and coins to create a circle within a circle effect. And here are some of the creations by our class. 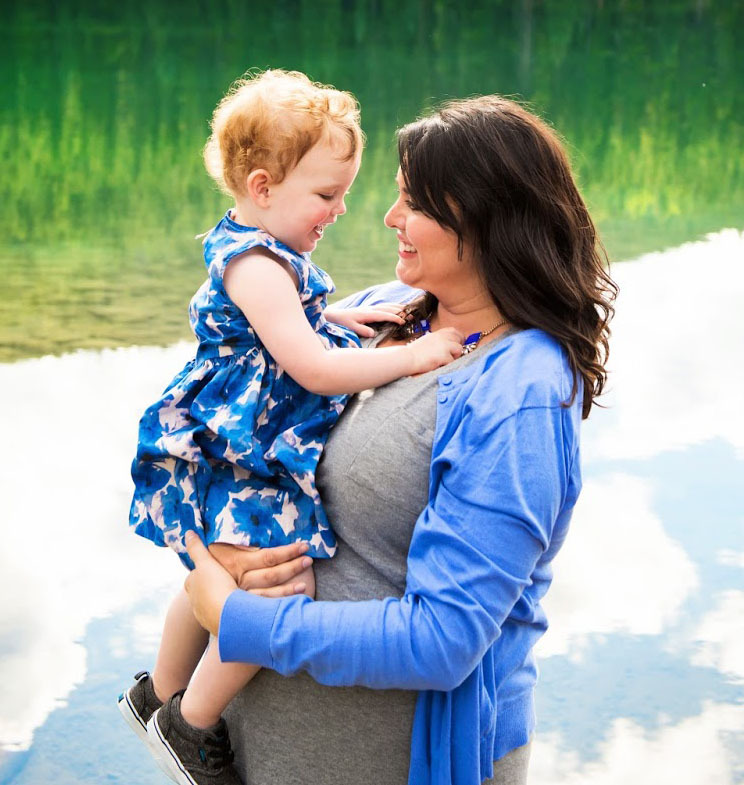 What a fun morning! 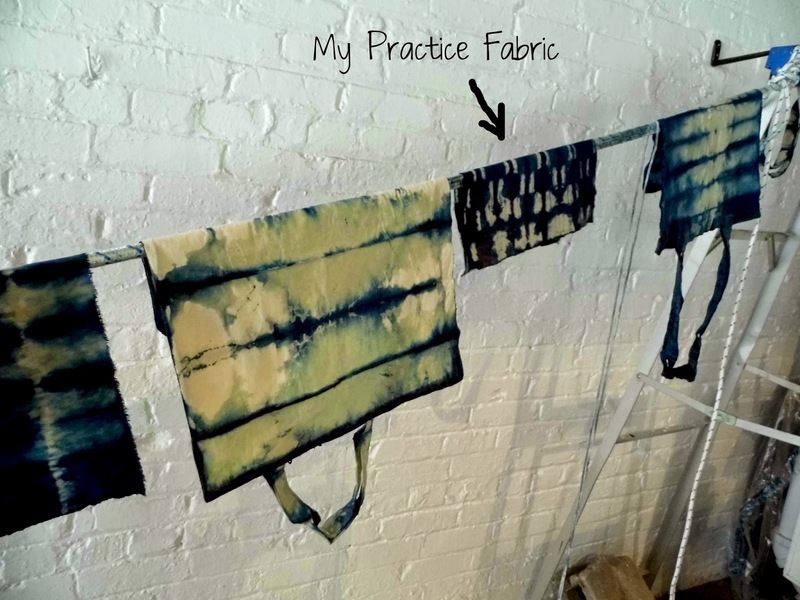 Would you try shibori? 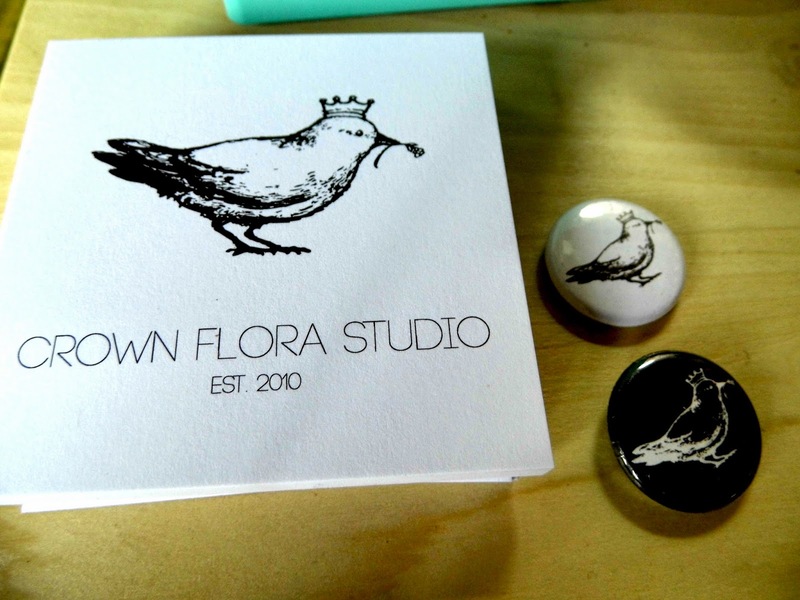 Check out Crown Flora Studio's website for the dates and times of their other workshops.